Are you one of the 85% of Americans who spend time EVERY DAY removing unwanted hair? If the thought of permanently removing this part of your daily routine intrigues you, then you may be the perfect candidate for the Icon laser by Cynosure. At Black Creek Medical Consultants, Dr. Orville Dyce is here to help you eliminate tedious, time consuming, and outdated hair removal methods from your already busy life. Whether your trouble area is hair on the lip line, leg hair, or body hair, the results you desire are achievable with the help of our high-tech laser. Many people hear the word "laser" and shy away from making the trip to a physician's office or med spa. A lot of the information that circulates about lasering is incorrect, and the growing popularity of DIY "lasering" devices has left people skeptical, confused, and untrusting of laser hair removal. The good news is that Black Creek Medical is home to the Icon laser by Cynosure. The Icon laser not only maximizes hair loss, but unlike other lasers, the Icon features a Skintel melanin reader that analyzes the specific pigment of your hair shaft, leaving long lasting results that promises to not damage skin pigmentation, ONLY hair follicles. We understand at Black Creek Medical Consultants that any treatment, product, or procedure is a commitment. Because we value you your time and finances, educating our customers about treatment options prior to booking is very important to us. 1. How exactly does it work? If you book a treatment with the Icon laser, Dr. Dyce will adjust its setting specifically to target the pigment of your unwanted hair. The actual hair is then damaged as well as the follicle responsible for hair growth. You can expect for the hair to fall out anywhere from two to three weeks from your first treatment. 2. Is everyone a good candidate for laser hair removal? Thanks to the Icon laser, YES! Come one and come ALL! As mentioned before, the Icon laser works well with any hair pigment or skin pigment. Some lasers only work best with the combo of pale skin and dark pigmented hair, but the Icon is designed for all skin and hair types. Patients with the darkest skin tones will need to have a 48 hour spot test to make sure that laser therapy will not affect their pigment. Unfortunately, women who are pregnant are cautioned to wait until after their pregnancy to start or continue laser treatment. 3. What body hair can be removed by the laser? ANY hair on your body that you want removed can be removed by our Icon laser. 4. How quickly can I expect to see results? The cycle of a hair follicle varies depending on the body part, with cycles ranging from two weeks to four weeks. Hair follicles that are hit by the laser during the first part of their growth cycle will be permanently destroyed. Hair that that is in any other stage of growth will still be targeted, but may grow back, albeit thinner, lighter, and less coarse . Hair on the face has a much shorter grow cycle, and results are seen much earlier. A series of treatments every two to four weeks are recommended to ensure that the greatest percentage of early-cycle hair been reached with laser therapy. Annual or biannual touch-ups are recommended. 5. Will it be painful? 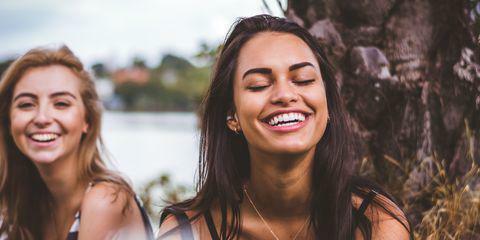 To add to the long list of noteworthy attributes of our in-office laser, the Icon also includes a Sapphire Contact Cooling Component that makes treatment essentially pain-free. We aren't knocking all home lasers, but we are asking you to consider the advantages of professional treatment over DIY. At home, can you really reach that weird spot on the back of your leg or back? How sure are you that your at home laser is compatible or even safe for your skin type? Medical grade lasers have different wavelengths and are much stronger than those that can be purchased for home use. The FDA has only approved medical-grade lasers for use in a physician-supervised environment. 7. What does upkeep and maintenance look like? Upkeep of laser hair removal varies from individual to individual and depends on the area being treated. Typically, six treatments are recommended to achieve optimal results. These treatments can be done between 2-4 weeks apart depending on the treatment area. Maintenance for laser hair removal is just as needed, and possibly no return visits will be required. 8. Is it really permanent? Yes! Once the hair follicle is damaged by the laser, there will NOT be any new growth. The common misconception is that in all areas, ALL hair will be removed. The FDA has approved laser hair “removal” for permanent laser hair "reduction." This specific language has been chosen to reflect that over a series of treatments, it is likely that almost all hair follicles will be destroyed. Yet, it is almost impossible to guarantee that 100% of them will be targeted. The remaining hair follicles will appear thinner, finer, and lighter. 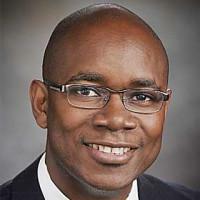 Dr. Orville H. Dyce, MD Dr. Orville H. Dyce, MD, is a double board-certified and fellowship-trained otolaryngologist who’s been in private practice since 2003. 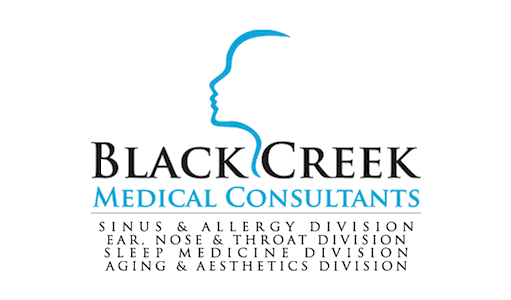 At Black Creek Medical Consultants, Dr. Dyce shares his expertise and skill in treating sinus and allergies, thyroid and vestibular disorders, and other ENT conditions with the women, men, and children in Hartsville, South Carolina. Dr. Dyce received his bachelor’s degree in arts and sciences from the prestigious Cornell University in Ithaca, New York, in 1992. By 1997, he’d earned his medical doctorate from the University of Pennsylvania School of Medicine in Philadelphia. At Black Creek Medical, Dr. Dyce enjoys the artistry of Aesthetic Medicine and enjoys helping his clients understand how they are aging and what they can do to slow the process. He will often bring out his facial skull and teach patients about their facial anatomy and the dynamic that is created between the skin, muscles, and bones--helping them have a visual for what he is doing.